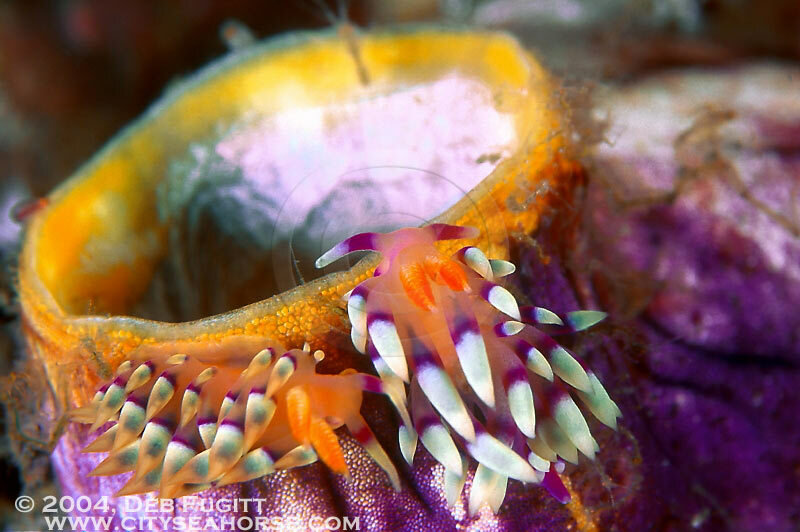 Two Flabellina exoptata (I think) nudibranchs from Raja Ampat. These were small nudibranchs. In the original photo I can see other, even smaller and more interesting creatures that are probably skeleton shrimp.